Better to be patient than powerful; better to have self-control than to conquer a city. Confession: I can be both impatient and flippant; my inability at times to control my tongue, and just speak what I’m thinking, has put me in some intense situations. My impatience causes me great discomfort and anxiety because I want what I want, but I don’t realize that even if it’s something that I need—it will only come when God says that it’s time—when I’m truly ready. Having to wait means having to trust and let go. It means admitting that you have absolutely no control and being okay with that. Welp, I have control issues. I’m always trying to grab the steering wheel knowing that I need to be saying, “Jesus take the wheel” and then letting go, and being a graceful passenger. I am opinionated and can be bossy. I default to my tried and true statement from the past, “I was an only child for about 15 years…” which means that I never had to learn how to share, seek balance, negotiate, admit fault, or ask for forgiveness. Hence my dilemma from youth through adulthood. Sadly, I know better. I know that you can get more with sugar than…fill-in-the-blank. I know that you can gain more through grace than force. I know that if you’re speaking you’re not fully listening, and if you’re yelling and cussing then you truly can’t hear and respond to God. If you dominate the conversation then you’re not letting God direct the flow. Even if someone else is being stubborn or controlling, you need to practice self control so that you don’t add more sticks of dynamite to the fire. The need to speak, control, and be right is a recipe for disaster. It’s a self-absorption that won’t allow for perfect clarity and resolution. If you can’t control yourself then you only prove how little control that you do have, and why you’re obsessed with trying to control everything and everyone around you—even if you don’t see it that way. It’s funny that people with control issues detest the practice of micromanaging, but are they not one in the same? Do you not have two people who seek to control people, things, circumstances, and outcomes? The one who does not like to delegate isn’t really that different than the micromanager. You both need to let go!!! When driving somewhere with someone, are you usually the one driving or navigating, or are you the silent passenger just enjoying the ride? Are you quick to volunteer to drive? Are you quick to point the way, believing that your understanding of the route directions are more accurate than anyone else in the vehicle? Or are you quick to use your gps system instead of someone else’s so that you can “ensure” on-time arrival to your destination? When someone makes a statement counter to your understanding or beliefs, are you quick to correct them, and then argue with them with the attempt to get them to concede and agree with you? Are you quick to take on a task because you think you can do it better than someone else? Do you find it difficult to delegate meaningful tasks to others? Are you slow to admit fault, apologize, and right your wrong? Do you find yourself in scenarios where a disagreement leads to an argument that leads to a screaming match, and then the aftermath that comes from not gaining immediate resolution? When you find yourself in an argument, what is your objective? Are you defensive and feel the need to prove your point to “win” and be declared the victor, the “right” one? Do you sometimes (or always) dismiss what some (or most) people say because you think they are misinformed, wrong, incompetent, ignorant, or any other descriptive that you can think of that disqualifies them from gaining your trust that they are qualified to share their opinion, lead you and others, etc? When speaking to someone do you find yourself thinking about what you’re going to say in response to them or are you listening fully to their statements to gain clarity? Are you quick to judge others? Can you admit that you’re more likely to judge “a book by its cover” before you read it? Do you get angered quickly? Do people say that your anger goes from zero to 100 in 60 seconds? Family, if you answered “yes” to all or most of these questions, you too could have issues with mind and mouth control. In the book of James we learn about being quick to listen, slow to speak, and slow to anger (v.19 ) and Colossians 3:13 tells us to forgive others as God forgives us, which means that we also must be quick to admit fault and accept responsibility for righting our wrong. The argument took more than one person to ignite and become a firestorm. Divorce and other broken relationships are started first because of disconnect before they evolve into the madness that we obsess over. The splinters and cracks that kept you from having a solid foundation is only weakened by the flaws and failings you both bring in and place weight upon. Impatience and lack of self-control will always result in you looking like a child, a victim, or a fool—or all three. We call ourselves kings and queens. While we act like jesters. We call ourselves children of God, yet we oftentimes act like children of satan—plain ignorant. You don’t have to be right all or most of the time. Because even in your so-called rightness, you’re probably still wrong—because you’re only operating out of a miniscule understanding with limited knowledge and even less wisdom. The wealth of information, misinformation, and blatant lies on the Internet is solid proof that you don’t know everything and neither do the billions of other people out there flapping their lips. Being wrong or not knowing the answer is acceptable. Our K-12 grade school experience has shell shocked us into fearing the humiliation, laughter and finger pointing (from classmates) that comes from hearing the teacher say, “that is incorrect” or seeing that evil-looking red ink on your paper showing you all the instances and ways that you were wrong…and obviously stupid. Isn’t that how you felt? So you then become the student who is slow to raise their hand, dread being called on to answer a question or demonstrate a lesson or skill. You begin to turn inward and either you grow to become the person who has to prove everyone wrong who doubts you or you become the person intent on proving everyone’s worse opinion of you to be exactly true. Thank God for those of you in the middle who didn’t and don’t take either of those extreme positions. You’re far healthier for it. For the rest of us, we have some healing and learning to do. We’re never too old to do either. So let today be the first day to make that first step. See how long you can listen to someone before you feel the urge to respond in support of or against their opinion. See if you can work towards perfect 2-way communication to prevent a breakdown. When you’re the sender of the message it’s your responsibility to ensure that your intended message is fully received and understood. When you’re the receiver of the message, constantly provide feedback and ask clarifying questions to make sure that you’re fully understanding the message before you reply with your answer. If you’re not 100% sure then don’t reply with 100% surety. If you don’t have anything nice to say, say nothing. Matter of fact, silently ask God to speak for you and to guide you to a safe space. Practice self-control. Your mind, your mouth, and your actions are your responsibility. It’s no one’s fault when you speak harshly or behave poorly. It’s your fault so take responsibility for self. Own your mess. Practice self-control today and try not to dictate to others, redirect people, control conversations or outcomes. If you’re a micromanager, work on letting go of your need to nitpick and stand over someone’s shoulder all of the time. Take the steps towards your healing. Practice patience today. Don’t feel the need to rush to give or extract from others answers to questions. Try to avoid finishing people’s sentences. No matter how long it takes them. Would you rush Jesus? Father thank You for today, this gift that only You can provide. Thank You for today’s Bible verse. It serves as a reminder to practice self-control and to always look within to connect with You. Father help me to be fast to listen, slow to speak, slow to anger, and more willing to forgive and ask for forgiveness. Help me to see the true value of patience and waiting to see the gifts. Help me to see the value and freedom of letting go and letting You steer. Go before me. Speak through me. Hold my tongue when anything other than Your goodness tries to slip out. Help me redirect my thoughts to align with Your perfect idea. Thank You for Your patience, understanding and forgiveness. I ask that You keep pouring that into me so that I can pour it into others. Thanking You now for forgiving me when I mess up today. I will try not to, but if I do, thank You for Your loving forgiveness. Keep molding me Father. I love You. Let’s make today an awesome day, filled with love, hope and grace. In Jesus’ name I humbly and faithfully pray. Amen. First pride, then the crash— the bigger the ego, the harder the fall. Pride driven by ego is a dangerous weapon that always leads to self-inflicted torture. This form of pride should not be confused with being “proud of” overcoming obstacles or being proud of your children. That’s not the pride that causes crashes. Pride, as referenced in the scripture above, is the manifestation of being so self-absorbed that you refuse to ask for help, admit that you’re wrong, admit that you can’t do something, etc. You could be struggling financially, spiritually, mentally, or physically yet you refuse to reach out for assistance so that you can struggle less or not at all. This level of pride would allow you to leave a job or a relationship simply because you couldn’t see yourself letting go of the little control that you thought you had because you refused to be vulnerable, open and exposed with someone else. Not wanting it to appear that someone outdid or outsmarted you, you would rather uproot, disrupt, destroy, and walk away than to give in to the process that could bring peace, harmony, and restoration. Ego says that you don’t need to pray to God before speaking, because “you’ve got this“. Ego convinces you to never surrender in an argument, to fight relentlessly to the end regardless of the collateral damage, and regardless of the fact that you could be and probably are 100 percent wrong. Pride says, “oh well if I am, you won’t get me to admit it”. Strong people have a difficult time letting go and asking for help, and admitting that they simply don’t know or that they are weak in certain areas. Highly intelligent people oftentimes can’t fathom not knowing the answer to a question, having a solution to a problem—so pride will step up and declare all sorts of misinformation, distortions, and even blatant lies to mask the truth. Pride will sacrifice everything for self-image. The ego doesn’t want to lose so pride steps in and cheats to win. To the ego the consequences of actions are meaningless or can easily be counteracted. The reality is there are always equal or greater consequences to the actions that we take, even if not immediate, they still come with a heavy penalty. I’m guilty of letting my pride get the best of me. My ego can be whopper size and my stubborness to defend my position at all costs can and has left me severely injured and a lot of collateral damage along the wayside. My pride has caused me spiritual, physical, emotional, and financial harm. My pride has caused damage to personal and professional relationships. Things said and done oftentimes can’t be reworded or undone. It’s usually set in and embedded so deep that your only options are to flee (pride) or work to make things right (humility). You have to be willing to surrender, admit that you’re wrong, and pursue the steps required to make right your wrong. The ego hates that. It digs deep into your gut causing you a pain that makes you feel like dry heaving (also known as “retching”). In the late 1990s to early 2000s, my pride cost me my career, car, home, furnishings, and lifestyle. I hit rock bottom and had to humble myself to slowly get my face up off of the ground. It was a devastating blow. I was reminded that my priorities were off and that I was listening to ego when I was supposed to be listening to God. My pride was quick to blame others, but God quickly silenced me with the bold reminder that the decisions I made were done so consciously, so credit and fault rested with me. You can argue with God but He has time on His side, so choose wisely. Pride stepped in and caused me much grief after my March 2017 divorce. Ego told me that I could deal with the trauma on my own, alone, and isolated. Ego told me that I could heal, recover, and rebound faster and better if I did it by myself, without help from anyone. The problem with that scenario is that you tend to also block out God’s voice and avoid seeing the blessings in the form of opportunities and redirection. God speaks through people, but if you’re isolated how can you interact with them to hear His message? And sadly, because I’ve always projected myself to be “strong” and a “super woman”, others see me this way, so when I did reach out for help, friends and associates dismissed the level and severity of my pain and circumstances because in their mind, “Natasha’s strong, she’s got this,” but what in my past has ever truly prepared me for divorce? In my past I’ve experienced gut-wrenching heart break, I’ve experienced extreme loss and numerous human deaths (all of which were untimely). But nothing has ever prepared me for the devastating blow that comes from divorcing the person that you planned to spend the rest of your life with. You’re not given a handbook or put through a training program before or during marriage that prepares you for divorce. Church, family and society preaches “for better or for worse, til death do you part…” and with that your mind isn’t focused on the death of your marriage, your union, your relationship—but that’s what divorce looks and feels like for so many of us—death—and you have to go through ALL of the stages of grief to fully heal. My ego was even fighting that process. My ego had me to wear the mask of “I’m perfectly fine with this situation, it is what it is…” knowing that it was a bold and blatant lie. I wasn’t even an inkling of “fine” or a shade of “okay”. I was in denial and the pain and frustration reared up and clobbered me in November 2017 and dragged me like a ragdoll through January and February 2018, and plopped me on a stump in March 2018 with my truths staring me squarely in my face. I finally got my head turned around and senses together so that I could sit up and assess my situation. That happened in April 2018. I had a tumultous 2017 and 2018 had some very painful stumbles, but it didn’t have to be so extreme, had I listened to and obeyed God instead of my ego. For two years my company, Foreman & Associates, LLC suffered because I wouldn’t get the help that I needed personally so that I could focus on the work that needed to be done professionally. Because I didn’t protect and take care of myself, my business was punished. That collateral damage is real! I’ve come to realize that it’s not one single thing or even a handful of things or circumstances that prepare you for life’s clobbering sessions. It’s the culmination of all of the times that you were beat down in the “boxing ring” of life, and you got back up. It’s all of the times that life beat you and you found yourself pinned against the “ropes”, trying desperately to fend off the hits and not get knocked out—yet you never looked to your corner begging with your eyes for your trainer to throw in the towel of defeat. When I look at all of my failings, disappointments, heartbreaks, losses, and blowups, I can see how I would pick myself up and go through the necessary steps to rebuild. I can also see the times when I thought that a shortcut to healing and recovery would work better, and jeesh was I painfully wrong. I can reflect on the pain that I felt and still feel from loved ones passing away and knowing that I won’t see and hear them here and now as I did before. Selfishly I want them here. All of those experiences have tested, strengthened, challenged, and refined me. All of those experiences made me wiser and more humble. And yes, all of those experiences combined have prepared me for the death called divorce and the rebirth that I’m experiencing post-divorce. It’s the shedding of one layer for the growth of a newer and better layer. It’s going from the caterpillar stage to emerge as the amazing and graceful butterfly. It’s being less of who you were to be more of who you’re supposed to be. It’s opening yourself up to the possibility of loving and being loved by someone new and unfamiliar in a way that is pleasantly new and unfamiliar. Divorce is not the end. Losing your job, car, and house is not the end. Those things and experiences are only pages or chapters in your life. They are not your everything. What will you do, see, and experience on the next page or in the next chapter? Through God I am confident. Through God I love and am loved. Through God I forgive myself and forgive others. Through God I can let go and gain more than I ever imagined. Through God I have peace, joy, happiness, and comfort. The opposite of all of that comes from choosing ego instead. I’ve been under a lot of stress over the past two months—tied to work and house-hunting. This week my anxiety flared up and reached a level that scared me. I had to meditate on being present and not focusing on the what-ifs of the future or the past. The unknowns of the future are irrelevant when you’re focused on the present, and you can’t change the past so obsessing over it is deflating and counterproductive. That’s ego getting in the way. I have to learn to stiff-arm ego like a football or rugby player and slam it to the ground. Today I’ve been presented with a test, an opportunity, to do exactly that—put my ego and pride to the side and instead focus on God’s plan for my success. Will it be uncomfortable at times? Yes, that’s why it’s called “growing pains”. Would I prefer the temporary discomfort over the long-term agony that comes from being ego-driven instead of God-led? I will take those growing pains so that I can be, see, and do what God has called me to be, see, and do. Will I slip up and let pride step in from time to time? Yep, I’m sure that I will. It’s my go-to default switch when I’m being stupid. What I pray for is God’s love to see me through, the discernment to know His voice above all others, and the courage to stand and quickly realign on His path. Do you see how making it less about you (ego) allows you to be whole, healthy, and complete with and through God? Being flexible and fluid, like water, allows you to bend and consider more than your perspective—it allows you to discover that it’s not all about you, you don’t know as much as you think you do, you can’t do everything you set your mind to, and the world doesn’t revolve around you. And it’s perfectly fine that way. It should actually be liberating to no longer carry that baggage that you have been lugging like deadweight for decades. Let it go! We have to decide if we want growth or stagnation. Do we want pleasure or pain? Do we want health or sickness? Do we want prosperity or suffering? We are given the freedom of choice. Our decisions have lasting consequences. What will you choose to do today? Don’t concern yourself with tomorrow. What choice will you make today about how you will think, speak, live, treat yourself and others? Father I’m so grateful for the gift of today, for the blessing to experience this moment as it is. Thank You Father. It doesn’t matter if this is an ideal situation or not, I’m grateful to be here and be present. I won’t dwell on the past or obsess about what could possibly happen in the future. I will live for today and do my best to glorify You in my walk and talk. Father I pray for peace of mind. May my thoughts be disrupted if they don’t align with You. Help me to pause and declare those lies and to speak Your truth. I want my speech to be in alignment with You and I know that my thoughts guide what I say. Help me Father to purge the pride that would derail me. Help me to wrangle my ego so that it knows its rightful place. Help me to be less me and more You, living as You desire and not as my flesh yearns. Help me to see, understand, and embrace Your reality for me and the truth that what You desire to give me far outweighs anything that I could ever imagine. Help me through my walk towards complete healing, with the acceptance that there’s hurt but the declaration that the wounds are superficial and can only be healed through my release to You. Bring over me the feeling and recognition of peace in my decisions so that I know that You and I are aligned. I know that You don’t operate in the grey, in conflict—so where there is no peace I know that it is not of You. Father help me to steer away from the conflict and chaos, but if I somehow end up there, help me to leave my ego and pride on the other side of the door. Don’t let me feed and fuel it with my stupidity. Walk before me Father. Speak through me. Hold my tongue if my words are not Yours. Settle me out of my anxiousness. Wrap me in Your arms so that Your presence calms my internal storms. I humbly pray to You in Jesus’ name. Amen. Copyright 2019. All Rights Reserved. Natasha L. Foreman. 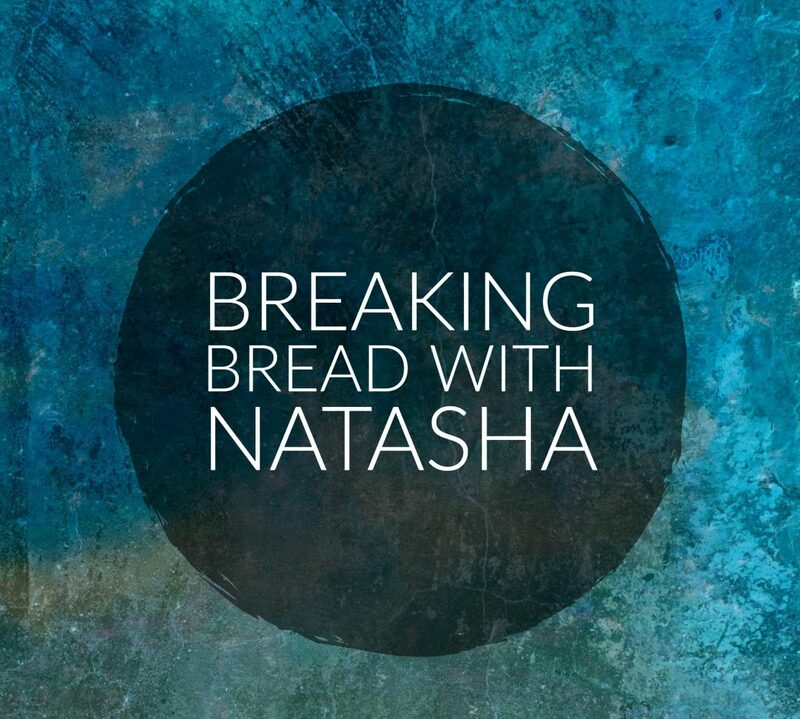 Happy Monday Breaking Bread Family! This morning I sat in prayer and I heard the words, “it’s time to share“, and I pondered what to share, and which scriptures resonated most with me and could possibly do the same for many of you. I was led to the Old Testament and the book of 2 Kings. As I began to read this text that I’ve read countless times in the past, I was moved by the words, actions, sentiment, and the realization of what the relationship was like at that time between the Israelites and God. I felt the frustration of God’s desire to bless a people in a way that they had never imagined, yet they couldn’t bring themselves to do what He asked and commanded. I thought about our modern times. I thought about myself. Then I began to type the words that you will read below. I hope that it touches at least one person and that maybe that person will share this message with at least one other person. Maybe we can look within ourselves and take the answers that we find, and actually apply them to solutions that heal and align us in perfect harmony with God. All this took place because the Israelites had sinned against the Lord their God, who had brought them up out of Egypt from under the power of Pharaoh king of Egypt. They worshiped other gods and followed the practices of the nations the Lord had driven out before them, as well as the practices that the kings of Israel had introduced. The Israelites secretly did things against the Lord their God that were not right. From watchtower to fortified city they built themselves high places in all their towns…. They would not listen, however, but persisted in their former practices. Even while these people were worshiping the Lord , they were serving their idols. To this day their children and grandchildren continue to do as their ancestors did. What is different today than the thousands of years past described above in 2 Kings? Not just a reflection of the Israelites, but of all people of all faiths that worship to God and are called to live and be a certain way—what is truly different? Do we not all, for the most part, as a broad generalization, find ourselves struggling with being obedient to God and breaking habits of past generations? Do we not find ourselves repeating patterns of behavior, even when we proclaim that we’re going to do and be better? When God tells us “do not do as they do” why do we still make the same idiotic decisions to do exactly as they do, as though God’s words were mere suggestions and not commands? The example in 2 Kings was of the Israelites foolish disobedience. We can also read of declarations and admonishments in other religious texts, which clearly show that God tells all of His children, not just one group, what He expects of them—-and yet we see the disobedience then and now in each and every single group. The answer is simple. We are self-serving. We do for self first and everyone else, including God, after. Then we turn to God to fix and make right the things that we tarnish, tear, break, upend, lose, and destroy. We beg for freedom and then find ourselves enslaved in the same or different way. We place conditions upon God just as we put conditions upon His creations. Sadly though, many of us demonstrate through our daily walk and talk that we think that the creations have more value, influence, power, and presence than the Creator. Don’t think this to be true? Then explain why we idolize people and things. Explain why we take the advice and follow the lead of a person over the directive of the One who created us. Explain why we try first and pray later or pray, and then out of impatience, we jump to make happen what we clearly think that God is too slow, too busy, or not capable of handling as we need it handled. Just as the Israelites complained about their circumstances and even contemplated returning to Egypt, because being under Pharaoh’s rule was at least predictable and familiar, as there were just too many unknowns and uncertainties following God. It’s truly “all about us” in our minds. It’s the “me…me…me” mindset that drives us. That is why we say “I”, “me”, “mine” and “my” more frequently in conversation than we do “we”, “us”, and “our”. We’re quick to take credit for good things and place blame for the not-so-good. We want things to happen on our time and in the way that we envision, and we will fight tooth-and-nail to have things our way, because our way is right. We ignorantly took the reasoning of “it starts with you” to mean something totally different than “action is required for results to be achieved“—that is the defining statement, not the distorted blob that we have created in its place. Sadly, our self-centeredness, our obsession for self-preservation, and our so-called self-righteousness are all of the ingredients in the recipe called “disaster”. They come from unhealthy pride, a deep pit of insecurity, and an overinflated ego that is built on a flimsy foundation. We are blinded by self and we align with others who are also blind. With no vision we all perish. We are no different than the Israelites. No matter how much you want to convince yourself that you would have been obedient and not been stuck walking in the wilderness 40 years, subjected to repeat enslavement, and forced to accept the consequences of stupidity—the truth is that most of us are already enslaved by the grip of the world, and many of us have been walking in a type of wilderness for years (some of you for 40 or more years). We even imitate the styles, phrases, and practices of other people with total disregard as to the acceptability of this imitation by God. Some of us praise and worship for a certain number of hours one or more days per week, yet we act a complete fool before or after those hours each day (and the days after). Pay attention to what you do and say going to and leaving church. Go ahead and laugh, recognize and acknowledge the fool that pops out of you more times than you really want to admit. Go ahead and laugh at the fool inside of you that acts and speaks in ways that clearly aren’t of God. If God is to come first then why does He not come first? Our thoughts, speech, and daily walk are to be demonstrated in a way that glorifies God, magnifies His works, and declares our convictions and where we stand. With our obedience there is no question. Our disobedience leaves us with one glaring question. Why are you disobedient? Will you be honest with yourself? Thank You Father for this opportunity, not earned, just a loving and precious gift from You. I hurt in and through my disobedience to You. I’m sorry that I haven’t reached a point where the pain that I cause myself is not great enough to stop my disobedience. My blaming of others is counter-productive and I know that my healing is delayed because I choose to hold on to my dis-ease. My self-blame and degradation is far more harmful because it adds to the piles of toxins that have been growing for years through my self-infliction and through my acceptance of things said about me by others. I don’t want to be in pain Father. You know this. Sadly, my pain has become my familiarity net, just like the Israelites saw Pharaoh as a more suitable alternative to life in the wilderness and beyond. I fear the unknowns of living life differently, yet I haven’t quite grasped the reality that there are more unknowns in walking on my current path. The Israelites feared the unknown of walking with and obeying You, as though existing under Pharaoh’s rule was predictable and clearly defined. In both instances it is sheer stupidity fueled by fear and ego. Father I don’t want to be afraid to the point of spiritual, mental, and physical paralysis. I know that Moses was afraid but he kept walking. I know that Jesus was afraid, but he kept walking. I know that Mary was afraid, but through her obedience a savior was born and nurtured to be a beacon for others. I know that Noah was afraid, but he built the ark and prepared things as instructed. I know that Daniel, David, and Deborah were afraid but they walked anyway. Father even in my fear, help me to walk anyway. As long as I walk I will see and through my sight I will know, trust, and believe. Through my knowing, trust, and belief I will build the confidence to do more, see more, and be more in Your honor. By walking it can start being less all-about-me and begin being as it always should be, all about You! I know that this process starts with me being in agreement with You. Father I’m not saying that I’m confident or courageous enough to run but I am saying that I’m ready to take those first steps. I’m ready to get back up. I want peace. I know that it can only come from You. Help me to focus on You. In Jesus’ name I humbly pray. Amen.